The globally-watched first test of one of India’s most challenging technology projects — the Nirbhay cruise missile, being developed by the Defence R&D Organisation (DRDO) — achieved only partial success this morning at Chandipur, where the military tests most of its missiles. 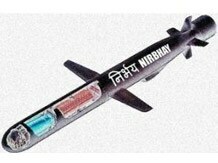 The Nirbhay is an Indian version of the US military’s Tomahawk cruise missile, which became an icon of high-tech warfare through CNN video footage during the 1991 Gulf War of Tomahawk’s flying through the streets of Baghdad and entering target buildings through open windows. Like the Tomahawk, the Nirbhay is a long-range (1,000-2,000 km), subsonic (below the speed of sound, 1,236 kmph) cruise missile. For the military, this is a crucial system that flies into heavily defended enemy airspace, where anti-aircraft missiles, guided by a thick radar network, would quickly shoot down a manned fighter. But a cruise missile, flying at treetop level and with a smaller radar signature than a fighter aircraft, would be far better equipped to survive the flight to its target. This was the missile DRDO tested today. Describing the test to Business Standard, senior scientists who were present say the Nirbhay was launched just before noon from the Interim Test Range at Chandipur, watched by an array of DRDO scientists including the chief, V K Saraswat. The launch was perfect and the booster established the missile in cruise mode correctly. The Nirbhay flew more than 200 km along the Odisha coast, skimming the Bay of Bengal, watched by radars along the coastline. The navigation too was perfect, with the Nirbhay correctly touching the first two “way-points”, which marked the route that the missile was to take. Things went wrong after 15 minutes of flight, when the Nirbhay significantly deviated from its path. Since it was close to the inhabited coastline, a self-destruct mechanism inside the missile was activated to destroy it. A key hurdle to developing a long-range cruise missile is the Missile Technology Control Regime (MTCR), which forbids signatories from assisting or providing technology to any other country developing a cruise missile with a range of 300 km or more. India and Russia could collaborate in developing the Brahmos supersonic cruise missile because its range was pegged at 295 km, just below the MTCR limit. In building the Nirbhay, however, India has had to go it alone. The MTCR forbids collaboration in building cruise missiles because they could be used for delivering nuclear weapons. Since the Nirbhay will eventually be a canisterised missile, it could also be launched from submarines with a nuclear warhead, increasing the versatility of the third leg of the nuclear triad. Pakistan is ahead of India in cruise missiles, having tested and operationally deployed the Babur (Hatf VII) cruise missile. There is speculation among international analysts, however, that the engine of the Hatf VII has been provided by China in violation of the MTCR. The key design challenge of developing an air-breathing turbine engine that can propel the Nirbhay, has been met by the Gas Turbine Research Establishment (GTRE), Bangalore.